Asphalt shingles remain one of the most enduring roof materials across the country. They are lightweight and easy to install, making them a cost-effective option. They’re also available in a variety of colors, textures, and thicknesses. In fact, they can even mimic the appearance of more premium materials, like slate and wood shakes. Aside from their rewarding features, asphalt shingles can also contribute to the environment. At the end of its life span, worn and old shingles undergo recycling. Kroll Construction, one of the leading roofing companies in Michigan, expounds more on this green initiative. Helps preserve the environment. Roofing projects across the country generate up to 11 million of roof-related waste. That’s why leaders in the home improvement industry sought to deal with this issue with something that’s both economical and green. 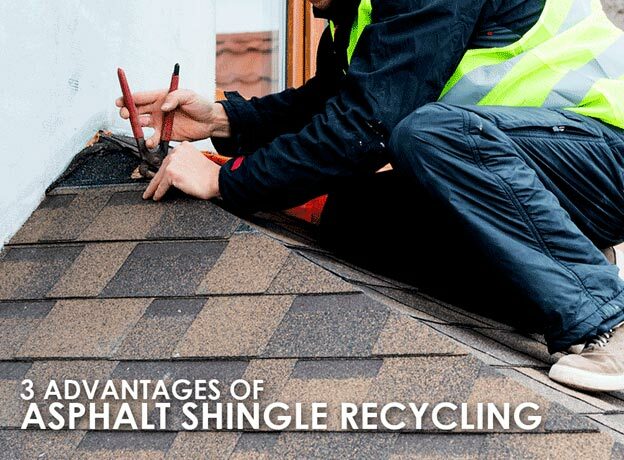 Shingle recycling prevents waste material from entering landfills. Instead, it offers a new way to reduce costs for roads and highways. Helps generate new jobs. With the definite boost it gives to the recycling industry, shingle recycling offers more opportunities for employment. it creates the necessary demand to stimulate industry growth, leading to jobs that earn revenue through tippage fees. Helps you save money. When applicable, some homeowners can even recycle their old asphalt shingles to create new roofing in Michigan. This minimizes the use of new materials and cuts back on your roof replacement costs, all while preserving landfill space. Asphalt shingles make the ideal replacement roof, but you should also consider hiring a reliable roofer that can provide you with a high-quality selection. Kroll Construction only carries top-tier shingles from Owens Corning. Our TruDefinition® Duration Shingles from this excellent manufacturer offer a premium look through their range of colors and their shadow lines. They also ensure superior weather protection, and are available with a lifetime limited warranty. Turn to Kroll Construction, one of the top roofing contractors in Michigan, for your asphalt roof replacement. We ensure a safe and smooth process through our excellent materials and expert installers. Call us today at (888) 338-6340 or fill out this form to get a free quote.